As many of you hopheads already know, cool weather within the Yakima and Willamette Valleys presented hop farmers with a challenging growing season for some specific varieties in 2011. At the same time, creative brewing styles within the craft beer industry continued to grow at unprecedented rates and create vastly increased demand for IPA and Pale Ale hops. In response to these circumstances, Hopunion has been diligently working alongside the growers to provide more brewing options. Growers have been furiously working to reallocate their fields and align supply to demand. At an estimated cost of $5,000 per acre, growers are investing heavily in the expansion of acreage for the proprietary hops that you are asking for, and continue to do so based on contracted needs for future years. Since 2008, varieties such as Simcoe® YCR 14 cv. and Citra® HBC 394 cv. have respectively seen 188% and 119% growth in acreage. Despite these dramatically increased acreage levels, the demand for many proprietary varieties has outpaced our ability to provide the quantities we desire while maintaining the quality standard. Last year Hop Union introduced a blended hop pellet that was made with several trade marked hops called Falconers Flight. It turned out to be a roaring success as it allowed brewers to stock a single pellet hop rather than the 8 or 10 different hops that made up the blend. This year Hop Union will design 3 hop blends that will of great interest to Craft brewers and homebrewers alike. 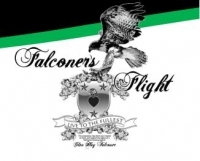 Falconers Flight will return again as will 2 new blends. Falconers Flight 7C’s™, an exclusive pellet blend comprised of 7 “C” hops and additional experimental varieties. Falconer’s Flight 7C’s delivers strong fruit and citrus characteristics but is layered with spicy, earthy overtones that allow it to function as the perfect addition/alternative to your IPA / Pale Ale style brews. Targeted brewing values are 9.5% Alpha, 4.4% Beta and 29% Co-humulone. *Actual brewing values will be determined and released after pelletizing. 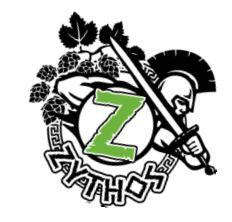 ZYTHOS™ ─ a proprietary hop blend created to embody the powerful tradition and aroma you expect for your finest ales and IPA brews. With targeted brewing values of 11.9% alpha and 5.0% beta, ZYTHOS is an IPA style blend created to optimize and exceed the aroma characteristics you require. The Vineyard has entered into a hop contract with the Country Malt group in hopes that we can keep a steady supply of these three blends in 2012. Most trade named hops such as Amarillo, Citra, Simcoe, Warrior, Centenial and others from the PNW will be hard to come by this year and we are hoping to get contracts on these for 2013 as they are all sold out already for 2012.